One person died while 18 others were injured on Wednesday in an accident involving 19 persons on the Lagos-Ibadan expressway. The accident, which occurred at about 8.30 a.m. close to Guru Maharaji ji village in Ibadan, involved three vehicles. Eyewitnesses said a tanker with registration number EPE 88 XT had a brake failure and rammed into a Mazda bus marked WWD 772 XA and Toyota Camry car with registration number LSR 349 SF. 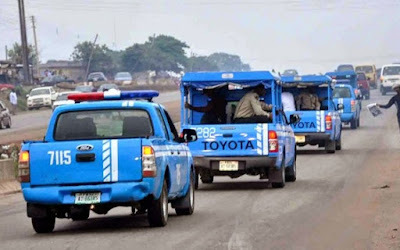 Confirming the incident, Mr Yusuf Salami, the Oyo State Sector Commander of the Federal Road Safety Commission (FRSC), said that the accident occurred as a result of wrong overtaking and mechanical deficiency which resulted in brake failure.